Department of Pharmaceutical Sciences 1, Guru Jambheshwar University of Science and Technology, Hisar - 125001, Haryana, India. Department of Agronomy 2, Choudhary Charan Singh Haryana Agriculture University, Hisar - 125001, Haryana, India. ABSTRACT: Fagopyrum esculentum Moench. is a versatile herb as beyond its nutritional properties it also have various health benefits like anti-diabetic, anti-inflammation, anticancer, antibacterial, anti hypertensive etc. Most of these activities can be attributed to the presence of certain bioactive components categorised as polyphenols, present in its various parts. Present work describes a method for simultaneous detection and quantification of polyphenols present in the seed extract using HPLC and analyzing in-vitro anti-diabetic and anti-inflammatory potential of the extract. HPLC method was developed using Ultra HPLC with attached PDA detector, at a wavelength of 275 nm. The mobile phase used was acetonitrile: formic acid at gradient flow. Five polyphenols rutin, quercetin, apigenin, gallic acid, and catechin have been detected and quantified. The IC50 value (mg/mL; the concentration that causes a decrease in initial concentration by 50%) of ethyl acetate extract determined for α-Amylase, α-Glucosidase, and lipoxygenase enzymes was 471 mg/ml, 551 mg/ml and 524 mg/ml respectively. INTRODUCTION: Fagopyrum esculentum Moench. (Polygonaceae) ordinarily known to be kuttu or buckwheat has been categorised as functional food because of abundance of nutraceutical compounds in it. Health benefits of buckwheat has been endorsed to the presence of polyphenols, proteins, vitamins, high fibre content, starch, high content of minerals etc in it 1. It is also said to be a prebiotic as it induces growth of intestinal microorganism 2. Beside its use as food, all species of Fagopyrum are traditionally used as folk medicine in treatment of anaemia, ulcer, haemostasis, constipation, choking, for bathing wounds, hypertension, diabetes, bleeding gum, peridontitis, old constipation and for hemorrhagic complaints 3. Buckwheat is a preferred food for diabetic patients because it has low glycemic index 4. Because of the presence of several types of bioactive phenolics which includes flavonoids, condensed tannins, phenylpropanoids and phenol derivatives buck wheat has versatile medicinal uses 5. Literature has reported the presence of polyphenols (rutin, quercetin, gallic acid, catechin, apigenin 6, 7, 8, terpenoids (Glutinone, glutinol, olean-12-en-3-ol, urs-12-an-3-ol and ursolic acid), steroids (shecogenin, β-sitosterol and β-daucosterol) 9, carbohydrates (starch, D-Chiro-Inositol, Imino-sugars/ aza sugars) 10, fatty acids (6,7-dihydroxy-3, 7-dimethyl-octa-2(Z), 4(E)-dienoic acid, 4, 7-dihydroxy-3, 7-dimethyl-octa-2(E), 5(E)-dienoic acid, palmitic, oleic, linoleic, lignoceric, stearic and arachidic acid) in various parts of buckwheat 11, 12,. Now a day’s buckwheat has gained more attention because of its effectiveness in diabetes, tumour, hypertension, cardiovascular problems, neuro-generative diseases, inflammation, microbial infection, wound healing, stress etc. Researchers have reported anti-diabetic potential of buckwheat. In a study done by Juan et al., 2015 2 diabetic volunteers show raised level of insulin potentiating hormones namely glucagon-like peptide-1 and glucagon-dependent insulinotropic peptide (GIP). On the basis of reported studies buckwheat extract has been evaluated for its effect on carbohydrate hydrolysing enzyme (α-amylase and α-glucosidase). These enzymes catalyses the breakdown of starch in to glucose and help in controlling post prandial glucose level in blood 13. Buckwheat has also been reported to have anti-inflammatory effect 14. For the study of anti-inflammatory ability, effect of buckwheat extract on lipoxygenase enzyme (regulates inflammatory responses) was determined. Beneficial effects of Buckwheat’s are due to its rich supply of polyphenols that acts in multiple ways to eliminate various diseases. In the present work we have investigated the presence of polyphenolics qualitatively and quantitatively through HPLC and tried to establish a fast, reproducible and reliable method for as many as polyphenols as can be detected in a single run. Chemicals and Reagent: HPLC grade acetonitrile, formic acid, ethanol and methanol were purchased from HPLC Lab reagents Mumbai, India. α-Amylase, α-Glucosidase, lipoxygenase and linoleic acid were purchased from Hi-media, Mumbai, India. Rutin, quercetin, apigenin, gallic acid and catechin were purchased from Sigma Aldrich, India. Other reagents unmarked were of analytical grade. Collection and Authentication of Plant: Seeds of F. esculentum were collected from local market, Hisar, Haryana, India and authenticated by Dr. Sunita Garg, Emeritus Scientist, CSIR-NISCAIR, New Delhi, India (letter no. NISCAIR/ RHMD/ Consult/2016/2984-11). A voucher specimen has been deposited in Department of Pharmaceutical Sciences, Guru Jambheshwar University of Science and Technology, Hisar, Haryana for future reference. Extraction of Plant Material: Seeds were shade dried at room temperature, powdered using pestle and mortar. The powdered seeds were defatted with petroleum ether and extracted by continuous hot percolation using Soxhlet assembly at room temperature for 72 h using ethyl acetate (EtOAc) as solvent. After filtration, the extract was concentrated in rotary evaporator, dried and kept in refrigerator at 4 ºC till further use. Preparation of Solutions of Standard: Stock solution of rutin (50 ppm), quercetin (50 ppm), apigenin (50 ppm), gallic acid (50 ppm) and catechin (50 ppm) were prepared in HPLC grade methanol and filtered from 0.45 µm cellulose syringe filter. These standard solutions were stored at 4 ºC prior to use. Preparation of Sample Solution: 500 ppm stock solution of the extract was prepared in HPLC grade methanol. Sample solution was then filtered from 0.45 µm cellulose syringe filter. Ultra HPLC Instrumentation and Conditions: Water’s Acquity Ultra HPLC (Ultra high pressure liquid chromatography) with attached quaternary pump and Acquity PDA detector was used. Chromatographic analysis was carried out using water’s BEH C18 column with 2.1 mm diameter, 50 mm length and 1.7 µ particle size. Column was maintained at a temperature of 22 ºC. Mobile phase was formic acid (A) and acetonitrile (B) at gradient flow at a flow rate of 0.5 ml/min. Programming of gradient ramping is shown in Table 1. Injection volume was 1 µl. Separation of solutes was performed at 275 nm which gets completed in 9 min. Identification of peak was based on retention time (Rt) against the chromatogram of standards. Data acquisition was done by Water̓s Empower software. α-Amylase Inhibitory Activity: Antiglycation potency of F. esculentum seeds extract was determined and compared with the standard rutin and quercetin. α-Amylase inhibitory activity was performed by adopting the method as described in Rani et al., 2012 15 with slight modifications 14. Starch solution (substrate) was prepared by dissolving starch (500 mg) in 25 mL of 0.4 M NaOH, after dissolving heating was done at 100ºC for 5 min, cooled in ice water, pH was adjusted to neutral using 2 M HCl. Then the volume was made upto 100 ml with distilled water. Stock solution of sample was prepared at a concentration of 1 mg/ml and then further dilutions were done to make 50-1000 µg/ml sample solution. Abs1 is the absorbance of incubated solution containing plant extract, starch and amylase, Abs2 is the absorbance of incubated solution containing plant extract and starch, Abs3 is the absorbance of incubated solution containing starch and amylase, and Abs4 is the absorbance of incubated solution containing starch. The IC50 values of samples were calculated and reported as the mean ± standard deviation (SD) of three experiments. α-Glucosidase Inhibitory Activity: α-Glucosidase inhibitory activity was performed by adopting the method as described in Moradi-Afrapoli et al., 2012 16 with slight modifications. Stock solution of sample was prepared at a concentration of 1mg/ml and then further dilutions were done to make 50-1000 µg/ml. 10 µl of test samples were put in microplate wells followed by glucosidase (enzyme solution- 0.5 unit/ml) and incubated for 15 min at 37 ºC. 20 µl of substrate (p-Nitrophenyl-alpha-D-glucopyranoside (5 mM)) solution was added and incubated for an additional 15 min at 37 ºC. The IC50 values of samples were calculated and reported as the mean ± standard deviation (SD) of three experiments. Lipoxygenase Inhibitory Assay: Lipoxygenase inhibitory assay was done by using the method described by Chandra and Ah 2014 with slight modification 17. Sample and standard solutions were prepared in Dimethyl Sulfoxide (DMSO) at concentration 50-1000 µg/ml and 10-100 µg/ml respectively. Linoleic acid was prepared by dissolving 5 mg linoleic acid in 15 µl ethanol. To this solution 15 ml borate buer (0.2 M, pH 9.2) was added. Sample solution was mixed with 1.74 ml of 0.2 M borate buffer (pH 9.2) and 5 µl of enzyme solution (50,000 unit/ml). Then 250 µl linoleic acid solution was added to initiate the reaction with vigorous shaking. In UV-Vis spectrophotometer absorbance was recorded for 5 min at 234 nm in spectrophotometer. quercetin was used as positive control. The percentage inhibition was calculated by following formula. The IC50 values of samples were calculated and reported as the mean standard deviation (SD) of three experiments. HPLC Analysis of Buckwheat Extract: HPLC method was successfully developed to identifiy and quantifies polyphenols. Result has shown good separation of five polyphenols in ethyl acetate extract of Fagopyrum esculentum seeds shown in chromatogram Fig. 1. For identification Rt (retention time) of different peaks were compared with that of reference compound Rt and quantification was done by using peak area by applying the regression equation of the reference compounds. Percentage peak area showed linearity with respect to the concentrations of each compound and data related to it is shown in Table 2. The result revealed that rutin and quercetin are present in higher amount i.e. 54 and 50 mg/g of plant extract respectively and apigenin, gallic acid, catechin are present as 0.9 mg, 0.84 mg and 0.7 mg/g of plant extract respectively. Overlay chromatogram of the extract and reference compounds i.e. rutin, quercetin, apigenin, gallic acid and catechin is represented in Fig. 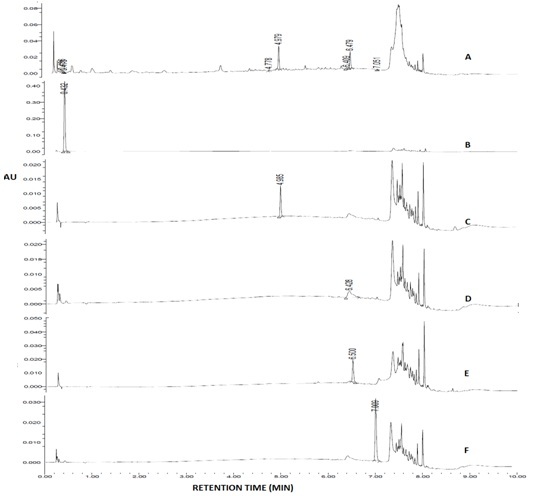 2A-E.
α-Amylase Inhibitory Activity: The dose dependency and half-maximal inhibitory concentration (IC50) of rutin, quercetin and acarbose on α-Amylase was measured at different concentrations (50-1000 µg/ml). 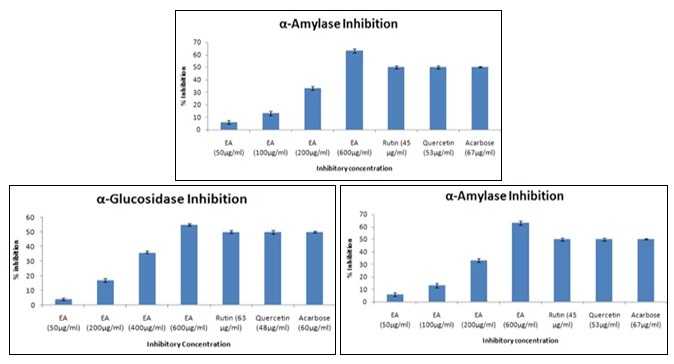 From the recorded absorbance of samples it was concluded that there was considerable inhibition of α-Amylase as is shown in Fig. 3. Rutin had the least IC50 for α-Amylase (45 µg/ml), followed by quercetin (50 µg/ml), acarbose (67 µg/ml) and plant extract (471 µg/ml) Table 3.
α-Glucosidase Inhibitory Activity: Results of α-Glucosidase inhibition depicts that quercetin is the most active amongst all samples as it has less IC50 value (48 µg/ml) than rutin (60 µg/ml) and acarbose (63 µg/ml) and plant extract (551 µg/ml) Table 3. Bar diagram representation of the IC50 value is shown in Fig. 3. Lipoxygenase Inhibitory Assay: Quercetin has shown better Lipoxygenase inhibitory activity than rutin and plant extract. IC50 value of quercetin is 42µg/ml, however IC50 of rutin and extract are 55µg/ml and 524 µg/ml respectively as mentioned in Table 3 and diagrammatically shown in Fig. 3. DISCUSSION: The developed method of simultaneous determination of the polyphenols by HPLC is simple, cost effective and reproducible with very less run time. Results illustrate that the ultra HPLC method is accurate for rutin, quercetin, apigenin, gallic acid and catechin quantification. The retention times of rutin, quercetin, apigenin, gallic acid and catechin were 4.979, 6.479, 6.479, 0.436 and 6.409 min, respectively and their quantity determined per g of plant extract is 54, 50, 0.9, 0.84 and 0.70 mg respectively. Diabetes can be controlled by decreasing postprandial hyperglycaemia in diabetic person. Inhibition of carbohydrate hydrolysis can be a potential and active target for this. α- Amylase and α-Glucosidase are two such enzymes which hydrolysis carbohydrate. α-Amylase breaks long chain carbohydrates and α-Glucosidase breaks down starch 19. Literature reports that polyphenols shows anti-diabetic activity by inhibition of carbohydrate hydrolyzing enzymes such as α-Amylase and α-Glucosidase 20, 21. Presence of polyphenols in the extract might have resulted in the inhibition of α-Amylase and α-Glucosidase. Inflammatory responses are regulated by oxidative enzymes belonging to the class of Lipoxygenase. These enzymes are related leukotrienes which are pro-inflammatory mediators 21. F. esculentum has the capability of inhibiting 5-Lipoxygenase mRNA expression in IgE-sensitized RBL-2H3 cell 22. Moreover, Pandey A 2017 23 says that phenolic compounds (mainly flavonoids) shows lipo-xygenase inhibitory potential, and presence of these polyphenols (rutin and quercetin) in the plant extract would be the reason of its anti inflammatory activity. CONCLUSION: A correlation has been observed between the presence of polyphenol compounds and anti-diabetic, anti-inflammatory activity of F. esculentum, estimated by α-amylase, α-glucosidase and lipoxygenase inhibitory activity. The developed method for determination of polyphenols can also be utilized in other plants extracts. Also our study warrants further research and experiments on animal models to assess the potency and safety before the clinical use. ACKNOWLEDGEMENT: We are grateful to Department of Pharmaceutical Sciences, Guru Jambheshwar University of Science and Technology, Hisar, Haryana, for providing required infrastructure and laboratories to carry out this research. Zhu F: Chemical composition and health effects of Tartary buckwheat. Food Chemistry 2016; 203: 231-45. Giménez-Bastida JA and Zieliński H: Buckwheat as a functional food and its effects on health. Journal of Agricultural and Food Chemistry. 2015; 63(36): 7896-913. Al-Snafi AE: A review on esculentum: A potential medicinal plant. IOSR J of Pharmacy 2017; 7(3): 21-32. Benković TE and Kreft S: Fagopyrins and protofagopyrins: detection, analysis, and potential phototoxicity in buckwheat. Journal of Agricultural and Food Chemistry 2015; 63(24): 5715-24. Jing R, Li HQ, Hu CL, Jiang YP, Qin LP and Zheng CJ: Phytochemical and pharmaco-logical profiles of three Fagopyrum buckwheats. International Journal of Molecular Sciences 2016; 17(4). 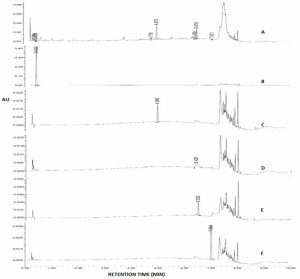 Danila AM, Kotani A, Hakamata H and Kusu F: Determination of rutin, catechin, epicatechin, and epicatechin gallate in buckwheat esculentum moench by Micro-High-Performance Liquid Chromatography with electrochemical detection. Journal of Agricultural of Food Chemistry 2007; 55(4): 1139-43. Shallan MAM, Abd S, Fayed ES and El MM: Protective effects of wheat bran and buck-wheat hull extracts against hypercholesterolemia in male rats. 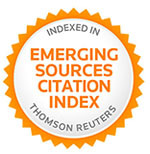 International Journal of Advanced Research 2014; 2(4): 724-36. Cho YJ and Lee S: Extraction of rutin from Tartary buckwheat milling fractions and evaluation of its thermal stability in an instant fried noodle system. Food Chemistry 2015; 176: 40-4. Wajid M, Aslam MS and Uzair M: Genus Fagopyrum: Phytochemical and ethnopharmacological review. Indian Res Journal of Pharmacy and Science 2015; 2(2): 1-14. Ahmed A, Khalid N, Ahmad A, Abbasi Na, Latif MSZ and Randhawa MA: Phytochemicals and biofunctional properties of buckwheat: a review. Journal of Agriculture Science 2014; 152(3): 349-69. Cho JY, Moon JH, Kim HK, Ma SJ, Kim SJ, Jang MY, Kswazoe K, Takaishi Y and Park KH: Isolation and structural elucidation of antimicrobial com-pounds from buckwheat hull. Journal of Microbiology and Bio-technology 2006; 16: 538-542. Adisakwattana S, Ruengsamran T, Kampa P and Sompong W: In-vitro inhibitory effects of plant-based foods and their combinations on intestinal α-glucosidase and pancreatic α-amylase. BMC Complementary and Alternative Medicine. 2012; 12(1): 110. Kreft M: Buckwheat phenolic metabolites in health and disease. Nutrition Research Reviews 2016; 29(1): 30-9. Rani N, Sharma SK and Vasudeva N: Assessment of antiobesity potential of Achyranthes aspera seed. Evidence-based Complement and Alternative Medicine 2012; 1-7. Moradi-Afrapoli F, Asghari B, Saeidnia S, Ajani Y, Mirjani M and Malmir M: In-vitro α-Glucosidase inhibitory activity of phenolic constituents from aerial parts of Polygonum hyrcanicum. 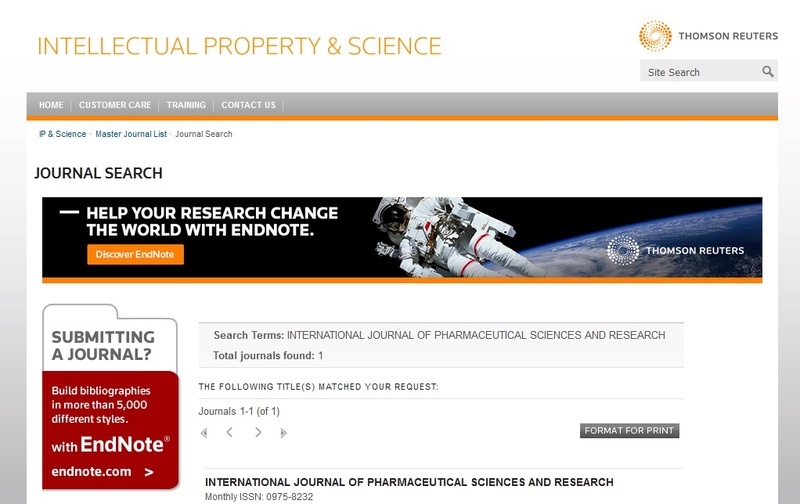 DARU Journal of Pharmaceutical Sciences 2012; 20(1): 37. Chandra H and Ah AF: Lipoxygenase inhibitory antioxidant and antimicrobial activities of selected essential oils. Asian Journal of Pharmaceutical and Clinical Research 2014; 7(4): 1-5. Telagari M and Hullatti K: In-vitro α-amylase and α-glucosidase inhibitory activity of Adiantum caudatum and Celosia argentea Linn. extracts and fractions. Indian journal of pharmacology 2015; 47(4): 425. 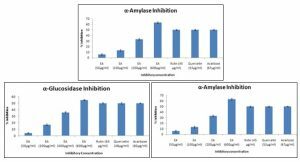 Subramanian R, Asmawi AZ and Sadikun A: In-vitro - glucosidse and - amylase en-zyme inhibitory effects of Andrographis paniculata extract Andrographolide. The Journal of the Polish Biochemical Society 2008; 55: 391-398. Randhir R and Shetty K: Mung beans processed by solid-state bioconversion improves phenolic content and functionality relevant for diabetes and ulcer management. Innovative Food Science Emerging Technologies 2007; 8: 197-204. Pihlaja R, Haaparanta-Solin M and Rinne JO: The anti-inflammatory effects of lipoxygenase and cyclo-oxygenase inhibitors in inflammation-induced human fetal glia cells and the Aβ degradation capacity of human fetal astrocytes in an ex-vivo Frontiers in Neuroscience 2017 30; 11: 299. Kyung-Hwa K: Fagopyrum esculentum extract suppresses the release of inflammatory mediator and proximal signal events in FCE RI-mediated RBL-2H3 cell activation. The Korean Association of Oriental Medical Physiology 2012; 26(4): 469-474. Pandey A, Kaushik A, Wanjari M, Dey YN, Jaiswal BS and Dhodi A: Antioxidant and anti-inflammatory activities of pseudotomentosa leaves. Pharmaceutical Biology 2017; 55(1): 1688-97. Neeraj, Vasudeva N, Sharma S, Duhan A and Ravi: HPLC standardization of ethyl acetate extract of Fagopyrum esculentum Moench. seeds and in-vitro enzyme inhibitory activities. Int J Pharm Sci & Res 2018; 9(11): 4917-22. doi: 10.13040/IJPSR.0975-8232.9(11).4917-22. Authors Address: Department of Pharmaceutical Sciences, Guru Jambheshwar University of Science and Technology, Hisar, Haryana, India.